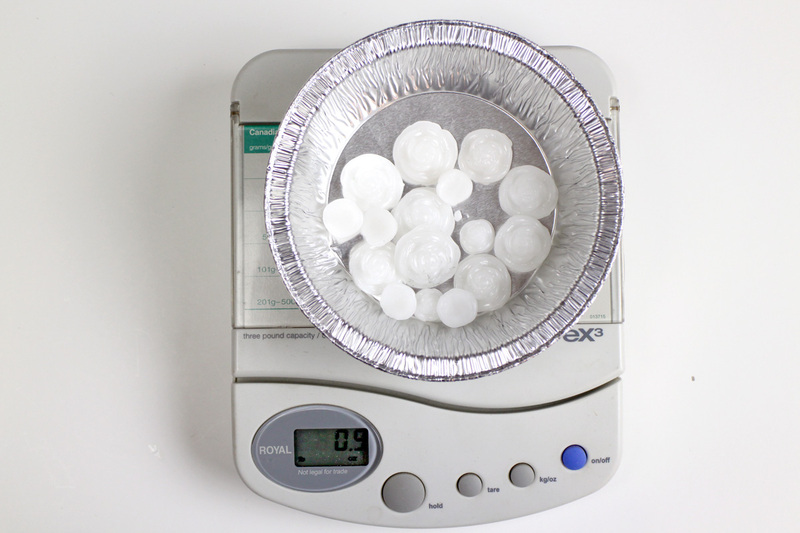 Both Deco Art and Crystal Art work best in smaller applications: the pellets can be blended and pushed into a mold. 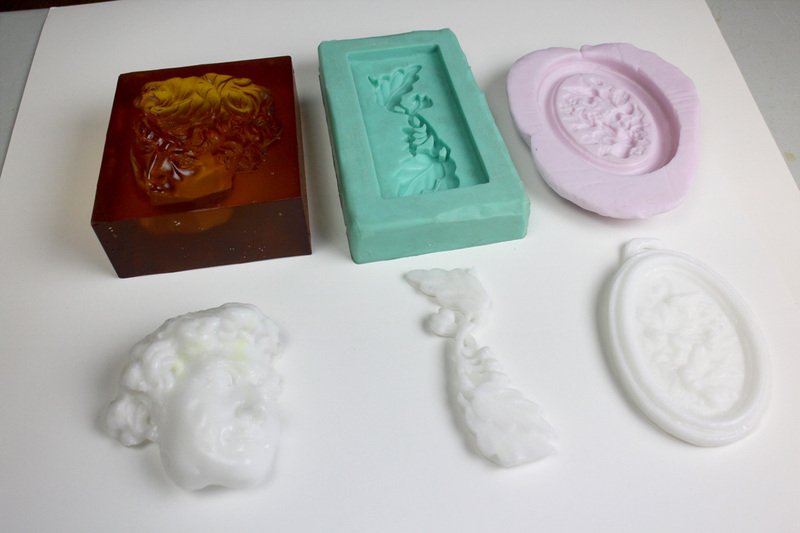 Silicone molds work very well, but hard plastic molds can also be used as long as a mold release is also used to prevent the plastic from sticking. 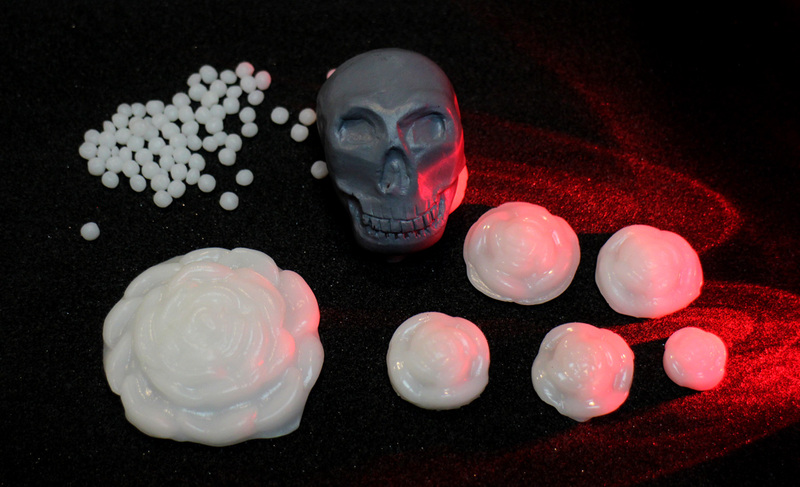 Deco Art roses and skull that were cast into flexible molds. 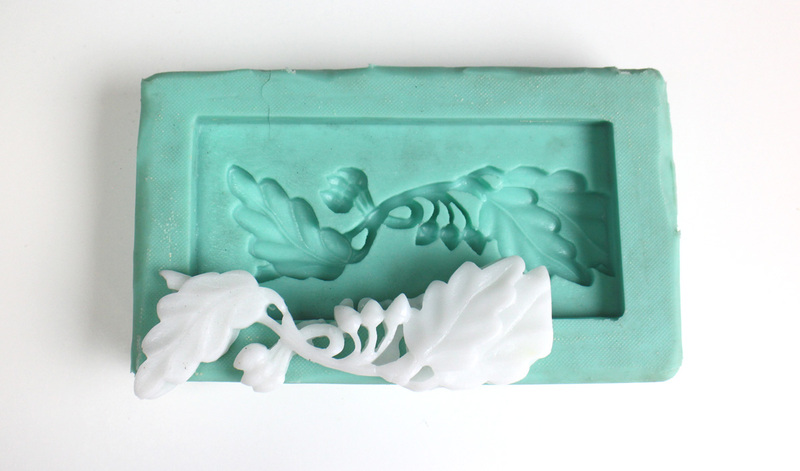 Deco Art cast into a flower mold by Pebeo. 0.9oz of Deco Art created 16 roses of various sizes. 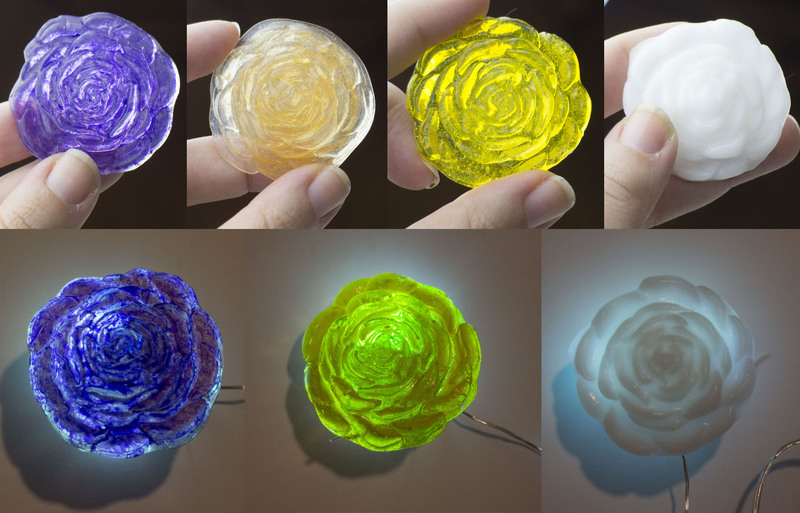 Various roses cast with Crystal Art and different coloring methods. Far right rose is Deco Art. 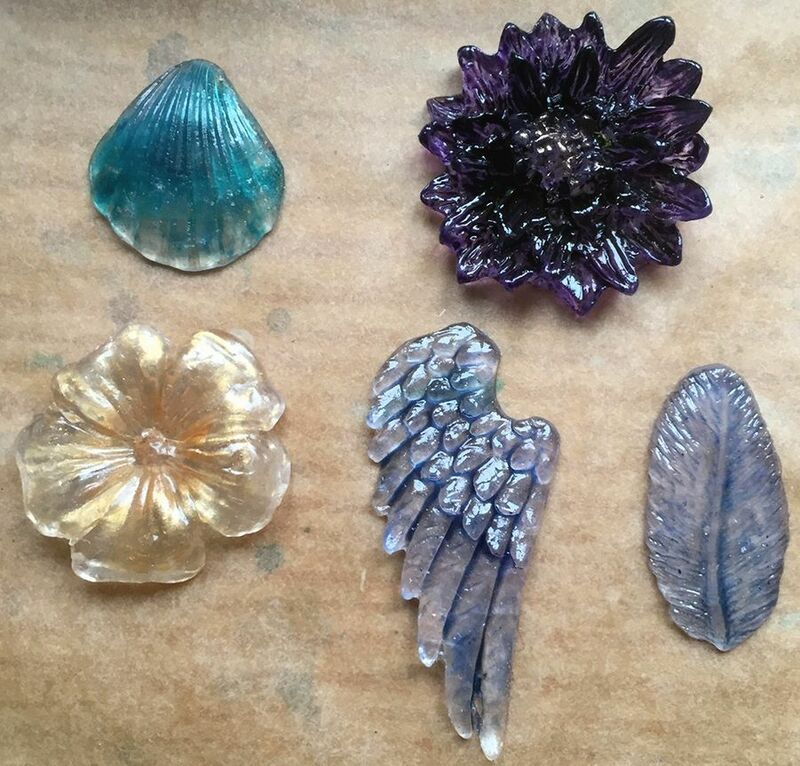 Deco Art and Crystal Art can be used in larger molds, but it can be more difficult the more complex the mold: you may have to reheat and re-cast to get all the details in very complex molds. Simple shapes work excellently well with Deco Art, but Crystal Art may show trapped air bubbles that are unavoidable when working with large amounts of the pellets. 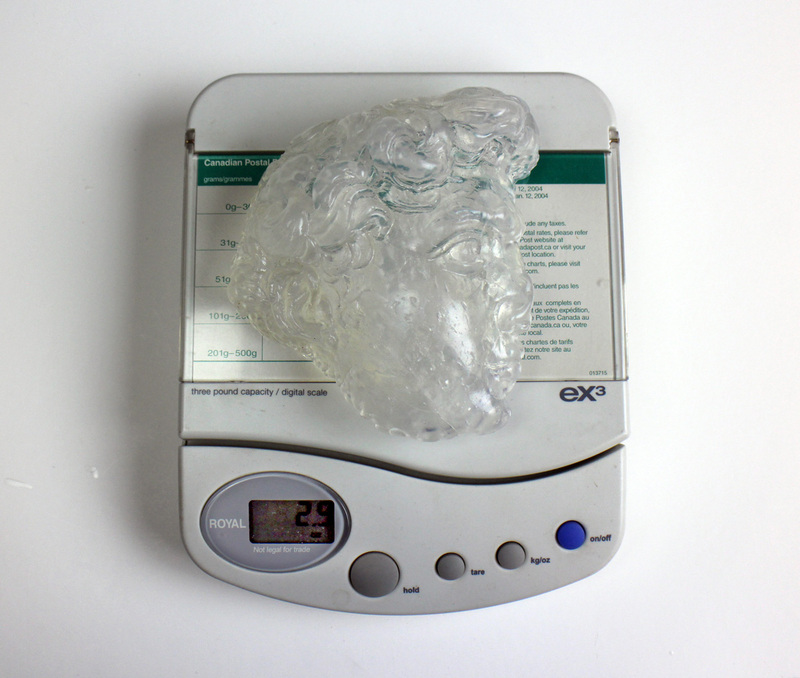 A large flat flexible mold. Deco Art works well in this shape, but Crystal Art can be more difficult to press into the shapes, as it can shift and move. 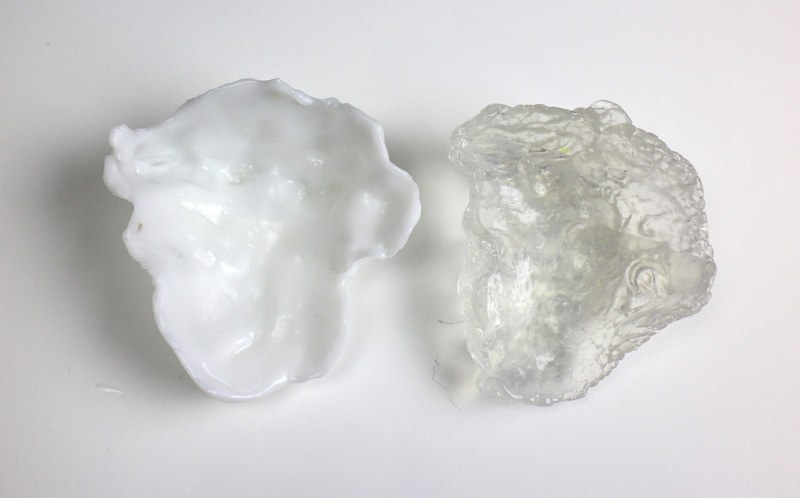 This rigid mold was supplied by Sculpture Supply Canada and made of Smooth-On PMC 780, a very rigid rubber. Mold release was needed for this mold. Deco Art was able to fill in more difficult spaces such as the nose , while Crystal Art shrank away from the deeper undercuts. Both took the hair and eye detail well, however. 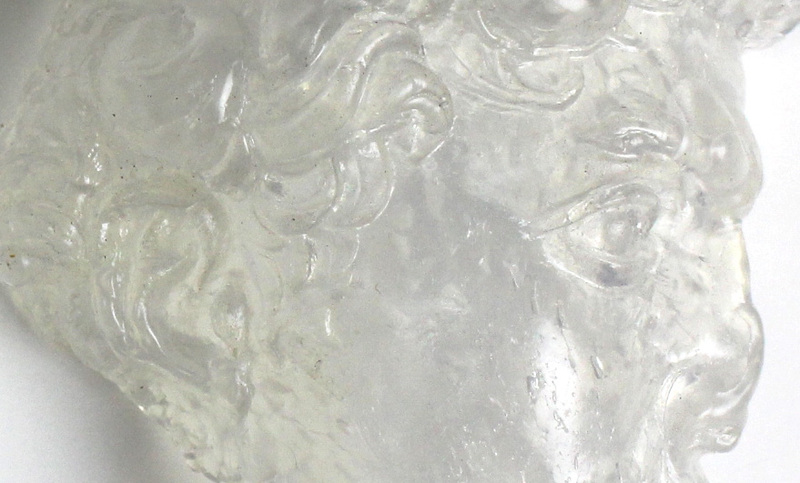 Close up of Crystal Art, showing trapped air bubbles. 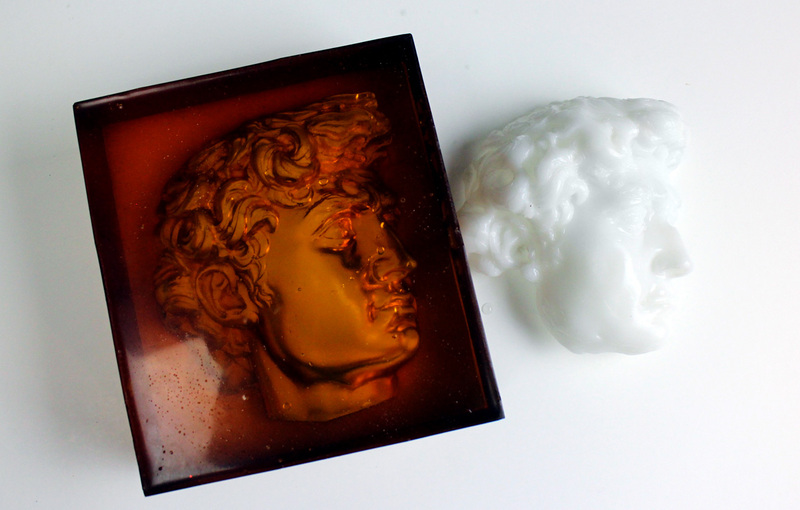 Inside of molded heads: note that the plastic was pushed into the mold to create a ‘shell’ rather than a solid mold, saving on space and material. 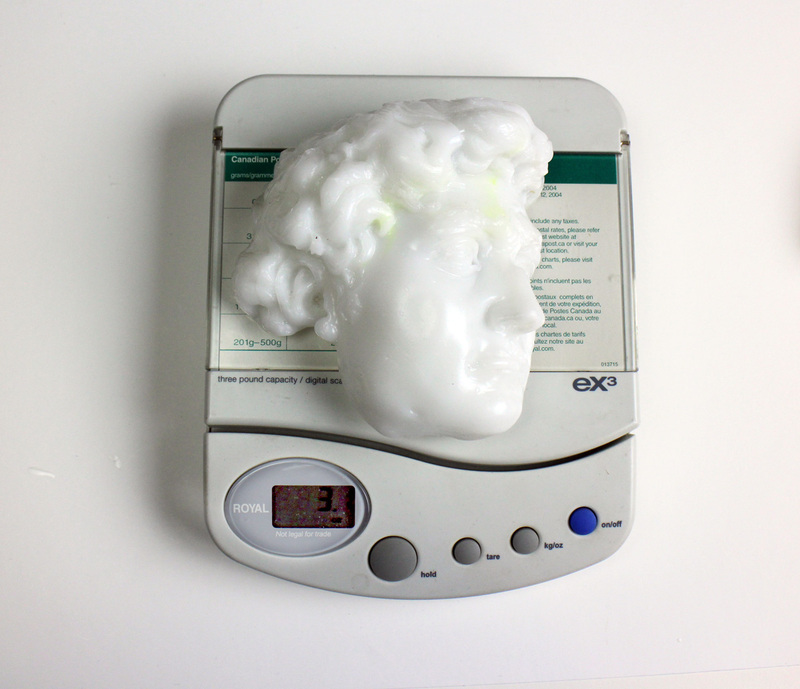 3.1oz of Deco Art made this head. 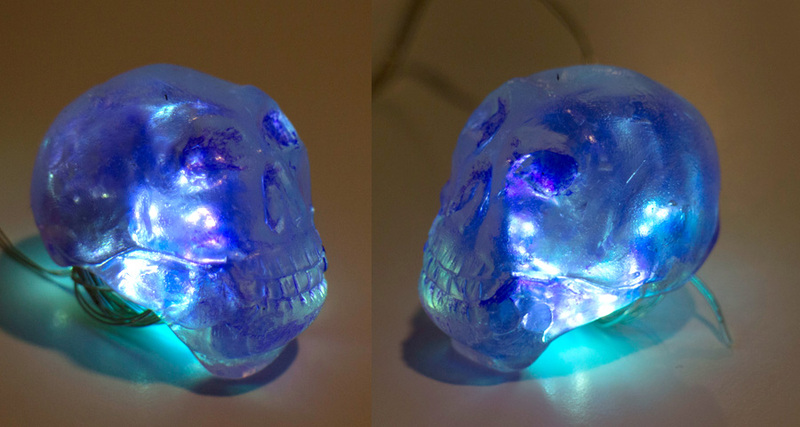 2.9oz of Crystal Art made this head. 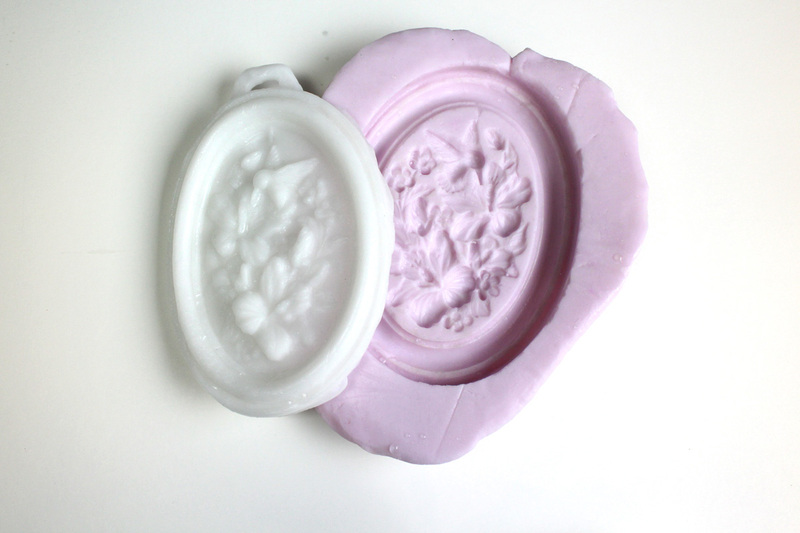 Very soft molds, like this one, do not work with Crystal Art and can work with Deco Art but require some extra attention around small areas: because Deco Art is almost like a very thick fluid when warm, you can ‘pour’ it into a mold like this and gravity will let it take the nooks and crannies. The middle of this leaf detail was done by feeding a ‘line’ of Deco Art manually between each section. There is still overflow that would be difficult to remove without a hot knife, however. Molding with Worbla’s pellet plastic Deco Art and Crystal Art is possible and can achieve a range of results depending on your needs. The Worbla products are not meant as a replacement for resin casting and we will never suggest they will give you the same result! 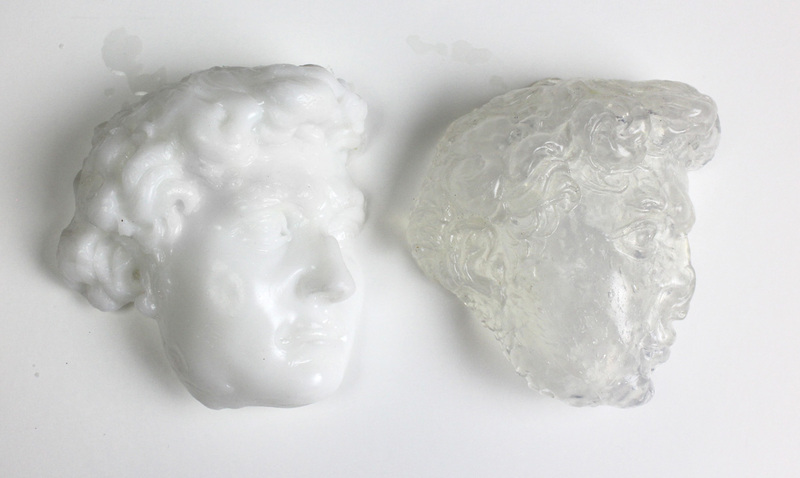 If you require perfect casting results, be it complete transparency or fine detail capture, we strongly suggest Smooth-On’s large product catalog and excellent tutorials to achieve your needs. But if you need it fast or if you can’t use resin due to space or cost or health, Crystal Art and Deco Art might be a great alternative.